Toddler temper tantrums are tough. Arriving in early toddlerhood, it's a shock to realise that your previously sweet little baby has opinions all of their own and isn't afraid to share them! The seeming randomness and lack of logic attached to many of my daughter's tantrums was what I struggled to get my head around. Like the day she suddenly refused to wear shoes. Or when she changed the way she liked her toast cut. Or when she was mad because I helped her to get something down from the shelf. Uh oh it's coming - I can feel it! At one point it felt like I was treading on eggshells, trying not to inadvertently press the tantrum button. It was then that I had to remind myself that in my career I've helped hundereds of children to manage their emotions differently. It was also when I needed to remind myself that the world was just opening up for my little girl - and sometimes in the most confusing of ways. I knew that her cognitive development wasn't as advanced as her physical ability and that this gap left the door wide open for big feelings. It was also helpful to remember that she wasn't doing this to push my buttons or to 'be naughty'. Tantrums were at least as unpleasant for her as they were for me. Once I realised all of these things and developed my approach for managing her toddler temper tantrums, they became much easier. Not exactly an enjoyable part of parenting but I could see them as a point of connection - in those moments my little girl needed me far more than when she was happy, so it was my job to step up to the task. This approach also made me feel more like I was working with my daughter rather than against her. It can be hard to remind yourself of these ideas in the moment and to act in a mindful way rather than becoming irritated or dismissive, and one of the most helpful things I did for myself was write a mini action plan for managing tantrums. You can pick up a FREE printable download of the plan at the bottom of the page so you're ready for when big feelings hit your house. It sounds obvious but seeing your child in that state will trigger some feelings in you whether you like it or not. Take a few seconds to acknowledge those feelings and allow the knee jerk instinct to react negatively or shout to pass. Those might be the most valuable seconds of your day. When your child has a tantrum, their bodies and brains enter a state of flight or fight and it's likely that to some extent that will trigger your stress response too. Giving yourself those few seconds allows your brain to recognise that this isn't an emergency and that you can choose how to respond. Young children learn the most from watching what adults DO, not listening to what they SAY, so if you do nothing else, even just modelling calm can be very helpful. Dr Laura Markham, Clinical Psychologist and gentle parenting expert, talks frequently about the need to manage your own emotions before your child's. 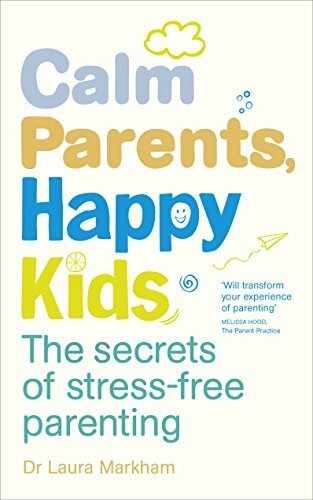 Her book, Calm Parents, Happy Kids, is an absolute game changer for parents wanting to learn a more gentle approach in a very practical way. This is especially relevant for younger children as separation from you will only trigger further anger and fear. Time-out isn't a helpful response for a tantrum as we know that children don't have the ability to manage these big feelings by themselves until they're much older. Time-out only teaches a child to internalise their feelings of distress in order to get back to the parent. The only exception to this might be when an older child removes themselves from you - then they're sending a clear message that they need a little space and it's okay to allow some time before you check in on them. Remember that in the moment they're not capable of doing much cognitive processing. Your way of connecting is best conveyed by a calm tone, relaxed body posture and sympathetic expression. Appearing to be calm and collected (even when you aren't) is actually very comforting to your child. This far more than anything you say sends the message that these feelings are okay, that they aren't overwhelming or terrifying and that together you can handle the storm. In the long run this is a valuable message and one that helps your child to develop their own self-regulation tools. This is a toughie - I know that there have been times when I have just wanted to take the easier road with my daughter. There's something to be said for thinking before you speak - I've learned that if I don't have the patience to manage the tantrum right in that moment that it might be better to be a little more lenient straight away rather than set a limit that I'm only going to give into after twenty minutes of screaming. At least that way my daughter hasn't learned the message that a tantrum will get her what she wants. But I'd say 98% of the time, if I've set a limit I stick to it. As my daughter gets older, I can see this consistency paying off as she is more accepting of a limit. This lets them know you're still around and they can reconnect whenever they feel like it. Most toddlers still need you as their point of safety to calm down, even when you were the one who 'caused' the tantrum by saying no in the first place. I know, toddlers can be confusing. Remember you want to be the parent they can rely on in the tough times as well as the good ones. You want them to understand that you're always going to be there. Your child will let you know when they're ready to reconnect. To repeat my previous point! I see so many adults trying to reason with a child who clearly isn't ABLE to listen in that moment; again this is linked to the brain's response to being in flight or fight mode. Once you've set your limit and acknowledged their feelings, this isn't the time to engage in a lengthy discussion. It's never really a great idea with the under-fives anyway; when they're in tantrum mode you'd be better off saving your breath. As they get older you'll be able to talk more and begin to teach them simple self-regulation tools, but right now your most valuable tool is being able to model great self-regulation yourself. My daughter was an expert at throwing a tantrum at exactly the wrong moment, usually right when we needed to be somewhere. I learned that she needed more warnings and time to get ready as being rushed was a real tantrum trigger for her. Learning about your child's individual tantrum triggers and emotional cup can mean far fewer tantrums. I also learned that a tantrum sometimes just needed to happen and that no amount of shouting or cajoling would alter the amount of time spent on it (which also wasn't actually as long as it felt) and that it was better to just stay close, stay calm and help my daughter to transition out of the tantrum at her own pace. A tantrum is really just one of the few ways a toddler has of expressing feelings that are too big and those feelings are valid EVEN when they're inconvenient. Okay, so that might sound contradictory following what I said about staying nearby but staying close can just mean in your child's eyesight. Getting too close to a child in a state of fight or flight before they're ready can mean risking your child lashing out at you and escalating the situation for you both. This is because a person in a state of flight or fight is on high alert for any signs of threat, so what you intend to be a comforting hug can be interpreted quite differently by your toddler. The safest bet is to stay close but well outside of their personal space. Your child will let you know when they're ready to reconnect so follow their lead. 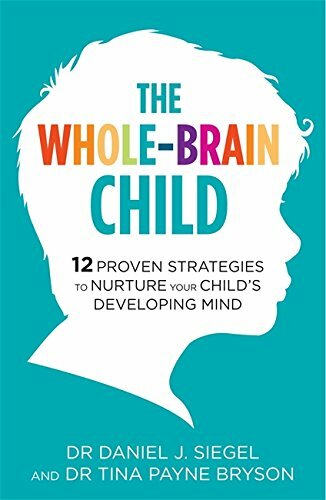 Neuroscientist Dr Dan Seigel is fantastic at explaining what is happening in little heads in an accessible way and his book, The Whole Brain Child, is packed with practical ways to use this understanding to connect more with your child. It's hard not to get sucked into the big feelings. It can even start to make you feel like a bad parent or that they're a bad child. Once thoughts like that start popping into our heads, our defences go up and we act accordingly - often in ways we wouldn't be that proud of. It's hard to sit with an uncomfortable feeling, whether it's our own or it belongs to a person that we love, but learning to do just that is the start of real emotional development and self-regulation. It is actually okay to be angry or upset. Those are valid feelings even when we don't quite understand what's happening in our child's head. Allowing your child to have their feelings normalises them and helps them to manage their feelings better in the future. As challenging as it is your child is entitled to feelings that are different from yours. Tantrums aren't personal, they're just developmental facts of parenting life. Although there are certainly ways to have less of them. Believe it or not sometimes a tantrum can actually help your day. It can be your child's way of unloading their emotional baggage and once it's over they're much calmer and happier. That can be tough to remember when you're left fuming. This is when you need embrace your inner mindful parent and move on with the rest of your day. Holding onto your big feelings is likely to only mean that you and your child continue to be in conflict. Have a cup of tea, message a friend or take a deep breath - whatever works for you to get your own cup back to full before you carry on. Frequent tantrums are tiring and it's important to acknowledge just how hard parenting young children can be. Subscribe for monthy updates at the END of the page and get IMMEDIATE FREE access to my printable tantrum Do's and Don'ts. Subscribe to grab your FREE printable and we'll send you a BONUS download all about your child's tantrum triggers. Parenting is nothing short of heroic. It's the most important job with the least recognition. I actually feel totally differently about tantrums now. They're not fun but I feel confident to manage them well and I know that I'm developing my daughter's emotional regulation skills for her future. It means a lot that she feels safe enough to be her angriest, most upset self around me. Dealing with toddler temper tantrums is a state of mind. Subscribe for monthly mindful parent updates from Mellownest and get IMMEDIATE FREE access to my printable Do's and Don'ts. Sign up with your email address to receive updates and your FREE printable. Thank you for subscribing to Mellownest. Your 10 simple tips will be on the way to your inbox now. Don’t forget to check your junk!